Narration by George Patrick Klein and Jack Clement, including extracts from previously recorded titles, ''Great Balls Of Fire'', ''You Win Again'', ''I'm Feeling Sorry'', High School Confidential'', ''Mean Woman Blues'', ''Don't Be Cruel'', ''Breatless'' and ''Crazy Arms''. There's no need to recount the details of Jerry Lee's disastrous UK tour once again. We all know that the British sent him and his 13 year old bride packing, and that the reaction wasn't such warmer when he returned home. faced with an ugly situation, Sun tried to deal with it humorously by issuing this record. The idea of using clips of recorded performances within a narrative was hardly a Sun original. Buchanan and Goodman had already hit paydirt with their "Flying Saucer" series of record (1956-1958). The idea for this narrative (by local disc jockey George Klein) was conceived by the unlike tandem of Jack Clement and Barbara Pittman. "Lewis Boogie" (Sun 301) is written by Jerry Lee Lewis in 1956 and released as a single in June 1958 on Sun Records and backed with "The Return of Jerry". The recording was reissued in 1979 as a 7" 45 single as Sun 29 as part of the Sun Golden Treasure Series. The song was also released in the United Kingdom and Canada as a single. The first edition of the single listed "The Return of Jerry" on both sides and was credited to "Louis" rather than "Lewis". The editing and recording of "The Return of Jerry Lee" was done by Jack Clement and George Klein on May 30, 1958. The single of "Lewis Boogie" was also released in the United Kingdom as a 45 single in 1964 on London Records as London HLS 9867 backed with "Bonnie B". The song was also released in Canada in 1958 as a 45 single on Quality Records. Jerry Lee Lewis recorded a live version of the song with the British band The Nashville Teens on the landmark 1964 live album ''Live At the Star Club, Hamburg'', regarded critically as one of the greatest live albums in rock and roll history. The track appeared on the 1984 Rhino Records collection 18 Original Sun Greatest Hits which featured the most successful recordings by Jerry Lee Lewis on the Sun label. The song appeared in a new recording by Jerry Lee Lewis in the 1989 Orion Pictures biopic ''Great Balls of Fire''! during the closing credits. "Lewis Boogie" is featured in the 2005 Johnny Cash biopic ''Walk The Line''. It was performed by Waylon Payne in the film and its soundtrack. In 2007, the song was featured on the live album ''Last Man Standing Live'', recorded in 2006 in collaboration with other musicians. Robert Palmer writes that the song "was a mixture of local black influences, the hillbilly boogie and rhythm and blues that were so popular on Southern jukeboxes when he was growing up, and--the most crucial inregidient--the Killer's individual musical genius''. Charlie Gillett writes that at "his best-as in..."Lewis Boogie (1958)"-Lewis epitomized the careless confidence that some people liked rock and roll for." were a barbershop quartet that performed in the 1950s and 1960s. The group formed in September 1953 at a SPEBSQSA chapter meeting in Memphis, Tennessee. The Confederates took first place in the 1956 SPEBSQSA International Quartet Championship after finishing second the year before. They were notable not only for their championship-caliber harmonies, but also for performing in Confederate officer uniforms. The group stopped performing in 1969. From a strictly technical point of view, the release of SUN 302 by Johnny Cash contained two of the strongest songs he ever recorded. It was also his last single as a contracted Sun artist, although far from his last Sun single. Lyrically and musically, these are highly competent examples of country music craftsmanship. That's the good news. The more realistic picture is that in keeping with the need to sweeten releases for the lucrative crossover market, the results were embalmed with choral overdubs that all but sank the proceedings. The effect of the scandal on Lewis' record sales was devastating. The virtual airplay backout ensured that records already out in the marketplace would come back by the truckload, and that new ones would be hard to move. After "Break Up" fell stillborn from the presses, Jud Phillips tried to spark some action on the next single, a revival of Moon Mullican's "I'll Sail My Ship Alone", by offering the first 100,000 at the royaltyfree price of 16c, but there were few takers. Charlie Rich - Piano on "I'll Make It All Up To You"
Charlie Rich took over the helm on "Break Up" and "I'll Make It All Up To You", both sides of Jerry Lee's make-or-break single (SUN 303) which appeared in August, 1958. There is no selfconscious gimmickry here or leftover studio jam boogies. These are both solid outings geared for the marketplace Jerry had been establishing before personal disaster overtook his fortunes. Billy Riley is featured on what is probably his strongest instrument, harmonica. On "Itchy" he exhibits a fair amount of Little Walter's influence while Burgess' guitar work on sections of the more laid back "Thunderbird" (named after the wine that flowed during the sessions) is somewhat reminiscent of Link Wray's "Rumble". "Every session we got drunk", asserted Riley to Bill Millar. "It was fun getting in there and getting drunk. Sam usually got tight with us. We had respect for each other, but we never did get along too well. I didn't appreciate the lack of promotion, but I appreciated his talent. He knew I had the band that could work with anybody, and he needed us". If you listen closely to the sound of the guitar on "Torro", you'll hear the same musicians who drove the batterly bizarre and delightful "Sally Jo". Here, Rosco's contribution is obvious. No wonder Phillips was willing to issue yet another record by Rosco after all this time. Seven years on, and Sam Phillips was still recording him. What did Phillips visualize as the fate of this record? Was this his or anybody's idea of rhythm and blues, circa 1958? The arrangement on "Torro" is quite strange and might not have been talked through too carefully. In fact, if Rosco Gordon had anything to do with this recording, it is unclear what he might have contributed. Sam Phillips has already begun his fadeout during the last four bars when Freddy Tavares ends cold. Billboard described the sides as "background music for a bullfight", which isn't a bad call. Tavares' brief vocal describes just that ("El amigo de la tarde... / The friend of the afternoon"). 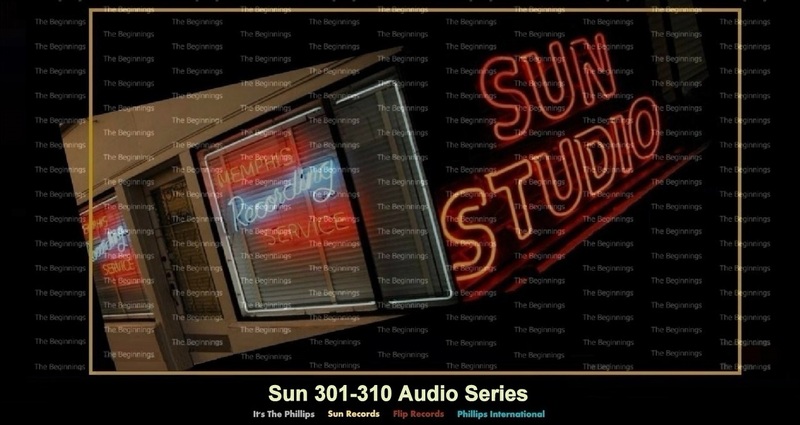 Gary Walker leased these masters to Sun Records in October 1958, and Sun picked up Isle's contract. If these sides ever contained any bite or trace of southern music, they were obscured by the hovering presence of the chorus. Isle's music is essentially geared for the white teenage market. Its most obvious selling feature, here as on his other releases, was a rhythmic hook. Ray Smith had two stints at Sun; the first consisting of a series of sessions at 706 Union during 1958 and the other, three years later, in Nashville. The assertively-titled "You Made A Hit" resulted from one of the earlier Memphis sessions and was supplied by Walt Maynard, a jobbing songsmith from the Claunch/Cantrell writing camp - a team who regularly supplied material to Memphis-based recording artists. The session itself combined Smith's own guitarist, Stanley Walker and Dean Perkins with Sun's house rhythm section. "You Made A Hit" is a fine, energetic rockabilly performance. The vocal bristles with energy and the instrumental work is especially memorable. Because Smith often used his touring group on sessions, it has become difficult to identify musicians on his record. Whether the lead guitar here is by Stanley Walker or Dean Perkins, the style gets rave reviews from the rockabilly cognoscenti. There sure is a lot of energy and interplay, whichever it is. But all is not lost. This side is unexpectedly good. Given that Clement's tune was the focus of most promotional effort, it is curious that Sam Phillips would allow a song he did not own, "Breeze", to be used in a supporting role. It was Taylor's choice, he had first heard "Breeze" on Cowboy Copas' 1948 hit recording, although it was a pop song principally authored by James (Zing Went The Strings Of My Heart) Hanley and Joe (When You're Smiling) Goodwin. Taylor made in the centerpiece of a wonderfully understated arrangement. There is a marvellous bluesy tension to this side. the 1-4 chord shuttling between verses creates a fine groove and Taylor's vocal is just right, avoiding all the pitfalls for over-emoting. The guitar work during the chorus ("It's an ill wind...") is striking and moody. Perhaps more than anything else, these recordings by Vernon Taylor help define the kind of music Sun was contributing to the pantheon of rock and roll in late 1958. Sam Phillips had seen Taylor, then based in Washington, D.C., on American Bandstand and brought him to Sun records, and that in itself was an indication of changing times at Sun. Gone is the frenetic energy pf previous years. In its place is a more controlled kind of enthusiasm. There is something about Taylor's voice to suggest he might have been a wildman under different circumstances, but there was nothing about this October, 1958 date organized by Jack Clement that would coax any wildness from Taylor.